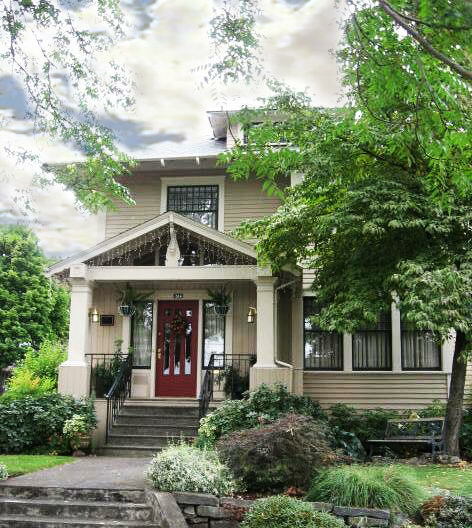 The Briar Rose Inn Bed and Breakfast is a 1908 Craftsman style home listed on the Local Historic Register. It’s beauty and original design has been preserved for over 100 years and the instant you step in you’ll feel as if you’ve traveled back in time. And don’t forget all the wonderful local shops & restaurants! Best of all, we’re only 15 minutes away from Portland International Airport and just 10 blocks away from the Vancouver Amtrak station! We’re easy to get to! You will appreciate the convenience of walking in the historic neighborhood as you set out for dinner, or to a local brewpub or even the popular Starbucks. With the beautiful weather the Pacific Northwest normally has… cool clear nights, starlit skies and sunny days, this is a very romantic setting to take your loved one. The Inn can be your headquarters for exploring the beautiful Pacific Northwest which includes the metro Portland area, the Columbia River Gorge, Mt. Hood, Mt. Saint Helens or the Pacific Ocean! The Briar Rose Inn is available for special events, meetings, reunions, seminars and retreats. When you visit the Briar Rose Inn you will relax and enjoy the architecture and charm of a historic home built in 1908 when Vancouver was a small town. The inn evokes memories of childhood as many of the guests at the Briar Rose Inn tell stories of their own homes, or grandparents homes, as they relive their favorite memories. The squeaky stairs are frequently commented upon as folks recall a time when life was simple and stairs squeaked!